The Covered Yard Barn was previously used for housing cattle since the 1970’s. 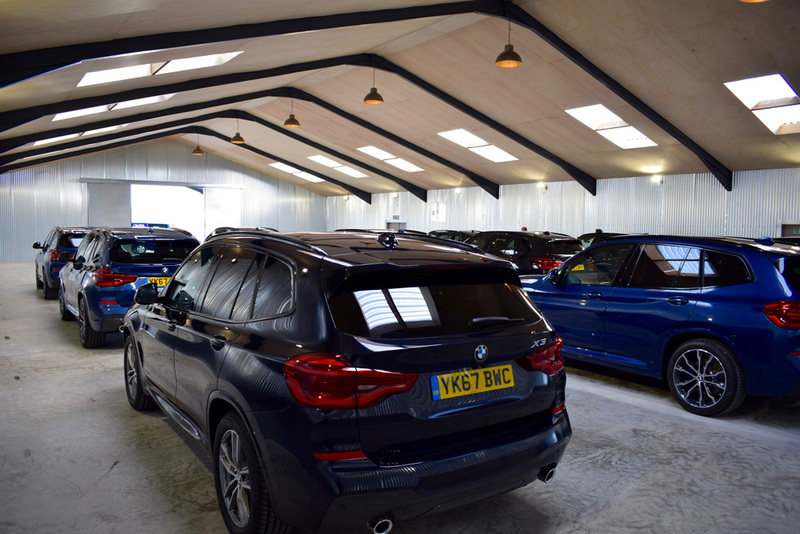 The barn has a level concrete floor, ample power sockets and lighting, clad inside with galvanised corrugated tin, external wash/valeting bay and flood lighting for automotive events - a fully secure unit with sliding doors looking out over the fields. The surrounding area is surfaced with tarmac, allowing smooth and comfortable access. It can also be used in conjunction with the main barn and/or outside space including up to 200 acres of green, Organic pastureland with facilities for glamping. The current indoor capacity is 500 guests seated. Additional marquees can be added on to form designated dance floors or breakout rooms depending on the type of event. THE COVERED YARD IS unique, totally exclusive and confidential.